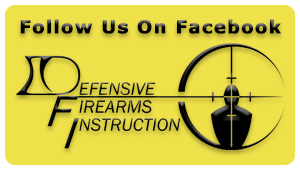 The Demo Shoot is a service that Defensive Firearms Instruction provides for individuals who want to try out different types of firearms before they make a purchase. As instructors, we often hear of students who purchase a firearm thinking it will be a good choice only to find out later it isn’t a good fit. This service is provided to help consumers make the right choice the first time. The Demo Shoot is a great opportunity to put a magazine through some of the most popular and trending firearms today. We have the ability to set up demo shoots on demand for special events or groups of individuals who want something fun to do with the friends or family on the weekend. The courses are typically run at the Emerald Empire Gun Club, which is located in Springfield, Oregon. We offer several different types of demo shoots. The most common demo shoots focus on Assault rifles, Concealed handguns, and Duty Sized Handguns. Firearms are always provided and the cost of ammunition is included in the price. We do have the ability to do blended courses, however, prices vary. Contact us for a quote. 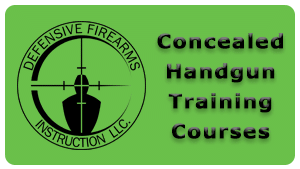 The concealed handgun demo shoot is geared towards someone who has made the decision that they want to carry a firearm for self-defense, but is unsure of what options are out there. Do you have some friends who are interested in protecting themselves, but don’t know where to start? This is a fantastic way to find a handgun that feels good in hand and is easy to shoot. Firearms include both semi-auto and revolvers in compact and sub-compact sizes. The Duty Handgun Demo Shoot is designed for security or law enforcement professionals who are looking to find the right firearm for their employees. Whether you are working in the industry, or want something a little bigger for personal/home defense, you will find what you’re looking for here. You will have access to the most popular single action, double action, and striker fired duty handguns on the market ranging in calibers from 9mm to 45 ACP. The Assault Rifle Demo Shoot is a great way to build the moral of a club or team, or to create a lasting memory with family and loved ones. This demo shoot is also perfect for someone who is looking to purchase a long gun for personal protection, but is also just as applicable for someone who likes shooting recreationally. Rifles can be expensive so this is a good way get a feel for and learn about different platforms before you make your decision. If you’re tired of hearing the debate between AR-15s and AK-47s and you want to try them for yourself, this is the demo shoot for you! You will get access to a wide variety of rifles ranging in calibers from 5.56 to 7.62×39 and .308.